A child’s personal safety is important when they’re exposed to different areas in public. However, they learn personal safety through education, experience and advice from parents as they grow. 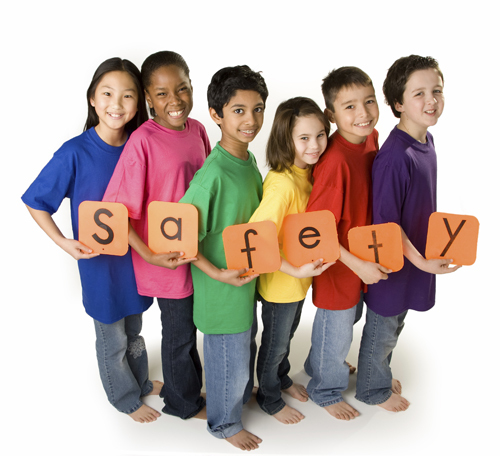 Every child though does develop their personal safety awareness at different times based on how they react in certain situations. This is why it’s important to watch your child’s development when it comes to personal safety to ensure you continue to teach them according to their skills. Here’s some expert tips on how you can help teach your children personal safety when in public situations. Who they’re allowed to see. What they’re allowed to do. How they can reach their destination. How long they can be away for. How they should contact you when plans change. The boundaries should also include how much internet usage and mobile usage is allowed, along with how they’re expected to communicate and act at home. While children may try to push the boundaries, they do feel safer having a more structured and managed home life where they know what to expect. It’s important to remember though that while being protective you need to also let them have fun as well while keeping them safe. It’s also important to teach your children to be assertive and confident in their decisions. It’s important for them to know it’s ok to say NO. This needs to be taught at an early age to help develop their skills for when they’re teenagers. Children who are confident have less chance of placing themselves in danger. While teaching them to be confident, they also need to be taught how to assess potential situations that could be dangerous. This can be done by re-enforcing where dangers lie in different public situations and how people are acting around them. Teach and encourage the appropriate response to certain situations by showing them how you would respond to that situation. It’s important to be vigilant but without smothering your child. This helps them to trust in their own actions and instincts. Don’t accept a gift from a stranger. Don’t get in a car with a stranger. Don’t eat anything that’s given from a stranger or that you haven’t seen before. Stay in the group or with the person looking after you. Don’t wander off alone in a new place. Only go to a place if your guardian or parent has told you to go there. If something changes always tell your parents. Keep yourself out of trouble and never join another person’s squabbles. Tell your guardian or parents if you’re receiving strange text messages, emails or phone calls from both relatives or friends. If you’re being bullied tell the teacher or the parent. If you’re offered drugs, cigarettes or alcohol tell your parents or teacher. If anyone unusual approaches you tell your parents immediately. Don’t go out alone. Always have a friend with you and don’t become separated. Avoid empty buildings, unlit streets, country paths, or dark alleys. Know the emergency services phone number and stay on the line as long as you can so your location can be tracked. Know your full address, name, and telephone details. Older children should be able to call parents work phone if they’re in an emergency situation. Know what your children are wearing when they’re going out so you can give details to the police. Never tell anyone you’ll be home alone. Children can be naturally trusting. When taking your child for a walk in your Bugaboo Cameleon stroller, it’s important to teach them the basics to ensure they stay safe and learn while out in public. Last but not least, it’s important to keep the lines of communication open as you teach them about personal safety. You should be approachable, consistent, easy to talk to and listen to their needs. Keep the communication in the family open and don’t be afraid to discuss anything with your children, no matter how awkward you feel. This will help your children open up more about the difficult things they may be facing at this current time. When it comes to personal safety for children, it’s good to be active and teach them how to be more assertive, confident, and safe in life. No matter what age they are it’s always a good time to start. Have you started teaching them about personal safety?